Amit Shah received a grand welcome in Odisha's Bhubaneswar, a day before PM Narendra Modi. When Prime Minister Narendra Modi lands in Bhubaneswar tomorrow, his drive to the venue of his party's meeting will be a grand, public affair. The BJP is reluctant to describe the event as a road-show, but confirms that the PM will move in an open-top SUV, greeting workers and supporters who will line the streets. A similar welcome was given to BJP chief Amit Shah, who arrived today in the Odisha capital for the two-day session of the BJP's national executive, which consists of about 350 people and decides strategy for the year, including for state elections. Mr Shah was given two garlands made of lotuses, the party symbol. One had 21 flowers, to symbolise the parliamentary seats in Odisha, and the other had 147, the number of assembly seats. BJP has only governed Odisha in alliance with BJD - an alliance that ended in 2009. The location has been carefully chosen to send a series of political messages. The BJP has never governed Odisha, except in alliance when Navin Patnaik of the Biju Janata Dal, who is serving his fourth consecutive term as Chief Minister. He ended the partnership in 2009. Odisha is now the centre of the BJP's "Look-East" policy and in February, it placed second in local elections across the state, proving its increasing strength. The BJP won about 300 seats, compared to about 400 for Mr Patnaik's party - a margin much narrower than the incumbent would like. The Congress, which has served as the main opposition party so far, won less than 100 seats. The result has increased the BJP's confidence about a strong shot at winning Odisha which is due to vote in 2019 when the next general election takes place. In 2014, Odisha was a weak spot for the BJP - it won just one of 21 parliamentary seats, an aberration for the Modi Wave that rolled out elsewhere. At the two-day planning session, along with the PM and Mr Shah, other top leaders like veteran LK Advani, cabinet ministers and 13 Chief Ministers will be present. 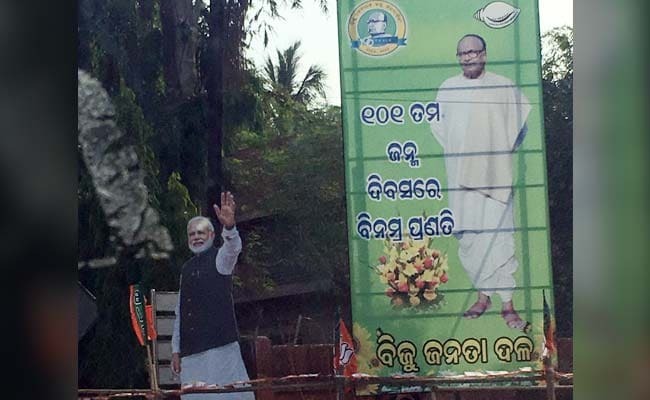 PM Narendra Modi's cutouts have come up in Bhubaneswar for the BJP's National Executive meet. Petroleum Minister Dharmendra Pradhan, who belongs to Odisha, said the state "is the laboratory of the BJP government's pro-poor policies. The Prime Minister will come to Odisha to thank the people for their unprecedented support to the BJP in the recent panchayat polls." Signalling the BJP's intent to use Brand Modi to woo Odisha, almost every main street in the capital is dressed in saffron flags. 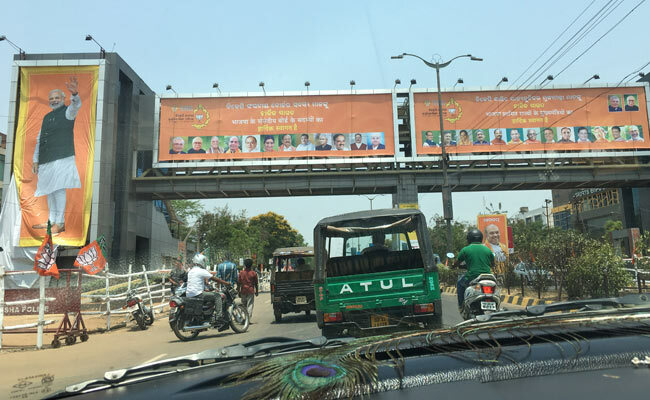 Hundreds of huge cutouts of PM Modi and Mr Shah are placed at intersections, almost uniformly near hoardings of Mr Patnaik's father, and the founder of his party, Biju Patnaik. Mr Pradhan told NDTV, "A few years ago, we were number three in the state. By 2019. We will be the natural party of governance in the state. And that's largely because of the PM's credibility in the state." Though the Chief Minister has said he is not disconcerted by the BJP's show of strength on his turf so soon after its big gains in the local elections, his party has accused the BJP of trying to engineer a split in the ruling BJD. Not true, say BJP leaders, while caveating that if leaders from Mr Patnaik's party are interested in switching teams, they are likely to be accommodated.